We at Courseplay are proud to announce that we have been featured in Silicon India’s Startup City magazine in the month of December, 2016! Take a look here. The theme of the issue was BPOs, which is a major target sector for Courseplay. 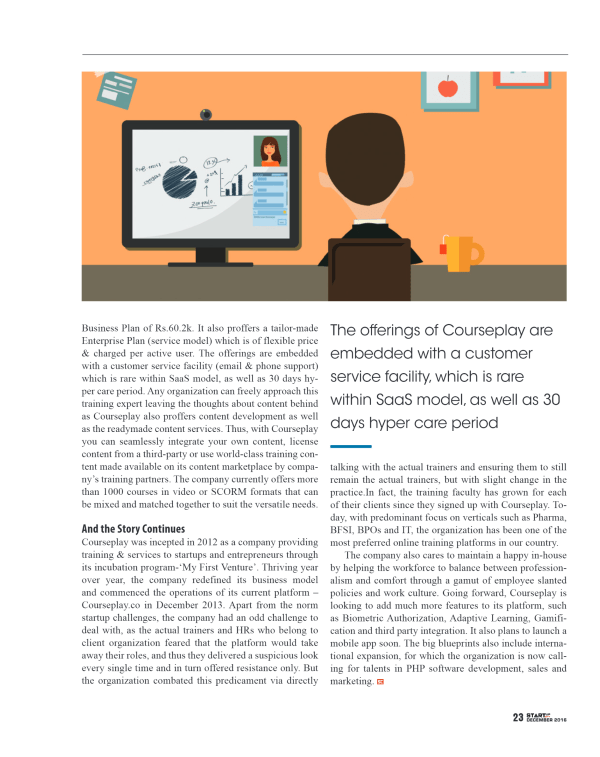 Courseplay was featured under the ‘Company Spotlight’ for the month.